SAMSUNG ORIGINAL KOREAN දුරකතනයක් හඳුනාගන්නේ කෙසේද......!!! ශ්‍රි ලංකාවේ ටික දෙනෙක් නම් මේ ගැන දන්නවා. එත් ගොඩක් අයට Samsung Korean version දුරකතන ගැන පැහැදිලි අවබෝධයක් නැහැ. ඒ අය හිතන්නේ කියන්නේ Korean version, International version එකේ copy (replica) එකක් කියල. සමහර අය Korean version එකට Anycall කියලත් කියනවා. මුලින්ම කියන්න ඕනේ Original Samsung වල version කීපයක් තියෙනවා. Model No. එකෙන් හඳුනා ගන්න පුලුවන්, දුරකතනය අයිති වෙන්නේ මොන version එකකටද කියලා. Japan version එකක Model No. 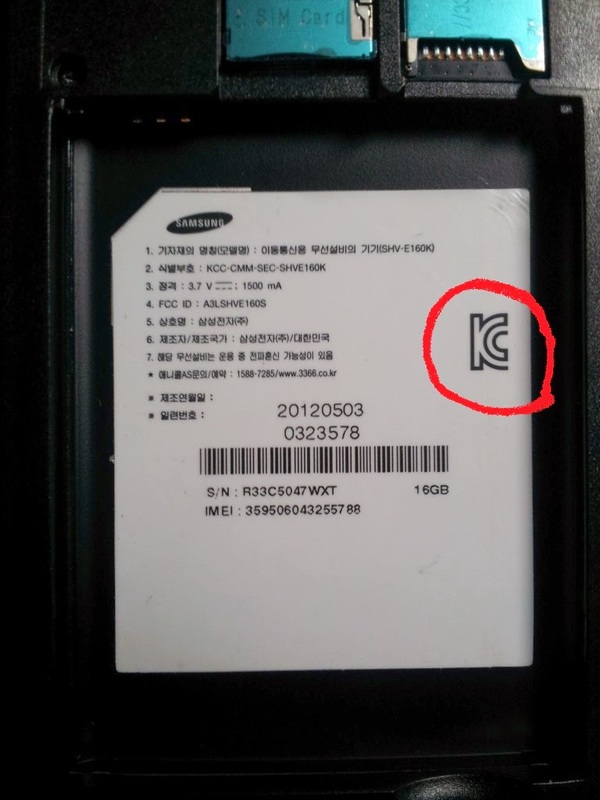 එක වෙන්නේ මේ වගේ එකක් SC-XXXමේ හැම එකක්ම original Samsung . ඒත් අපේ රටේ ගොඩක් අය හිතන් ඉන්නේ international version විතරයි Original කියලා. South Korean වල Network provider company 3 ක් තියෙනවා. (හරියට අපේ රටේ Dialog Telekom, Mobitel, Airtel, Hutch, Etisalat වගේ). ඒ company තුනෙන්ම තමයි ජංගම දුරකතන දෙන්නෙත්. මොනවද ඒ company???? බොහොමයක් Korean version දුරකතන boot වෙනකොට මේ කියන Anycall, Olleh, LG U+ logo එක display වෙනව. 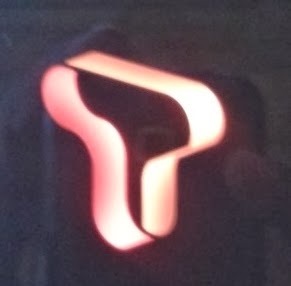 පහත පින්තුරවල තියෙනවා Logo. එහෙම නැත්නම් Model No. එකෙනුත් දුරකතනය අයිති මොන වර්ගයටද කියලා හඳුනාගන්න පුලුවන්. Model no. අගට S තියෙන්නේ Anycall , K තියෙන්නේ Olleh , L තියෙන්නේ LG U+ . Korean version දුරකතන වල model no. වෙන්නේ SHW, SHV කියලා එන ඒවා පමණයි. 3G තියෙන ඒවා SHW වලිනුත්, 4G Lte තියෙන ඒවා SHV වලිනුත් තමයි එන්නේ. SHW හෝ SHV වලින් Model no. පටන් ගන්නේ නැතිනම් එක original korean version එකක් නෙවෙයි. Original Korean දුරකතනවල Ariel එකක් තියෙනවා. Ariel එක Original Korean එකක් හඳුනාගන්න තියෙන හොඳම ක්‍රමයක්. Original Korean දුරකතනවල බැටරි එක අයින් කලාම housing එකේ අලවලා තියෙන sticker එක Korean භාෂාවෙන් තියෙන්නේ. අපිට කියවා ගන්න පුලුවන් ඉලක්කම් විතරයි. පහල තියෙනවා galaxy note එකක පින්තුරයක්. තව දෙයක් තමයි එම පින්තූරයෙම ස්ටිකර් එකේ රතු පාටින් රවුම් කරලා තියෙන සලකුණ (K අකුර) තියෙන්නේ Original Korean version විතරමයි. Korean version එක හදන්නේ ඒ රටේ අයට පාවිච්චි කරන්න. අපේ රටේ තේ බොන විදියට නෙවෙයි කොරියානුවෝ phone හදන්නේ. ඒ කිව්වේ අපේ රටේ ලෝකෙන්ම හොඳම තේ (Ceylon Tea) නිෂ්පාදනය කලාට අපි බොන්නේ කසල තේ (Dust). එත් කොරියානුවෝ එහෙම නැහැ. ඒ අයගේ රටේ අයට පාවිච්චි කරන්න ඒ අය හොඳම තත්වයේ phones තමයි හදන්නේ. අපේ රටේ තියෙන international version දුරකතන හදන්නේ China හෝ Vietnam වල. Chinese නිෂ්පාදන ගැන ඉතින් අපේ අයට අමුතුවෙන කියන්න ඔනේ නැහැනේ. අද ලංකාවේ S4 එකයි, Note3 එකයි brand-new කියලා 15,000-20,000 විකුණන්න ඕන තරම් ads දාලා තියෙනවා ikman.lk එකෙයි, Facebook groups වලයි. අපේ අයත් ඕන තරම් දැකල ඇතිනේ. ඒවා විකුණන්නේ "Made by Samsung by Korea" හෝ "Made by Samsung by Vietnam" කියලා. ඒත් මේ එකක්වත් හදන්නේ Korean වලවත්, Vietnam වලවත් නෙවෙයි, China වල. 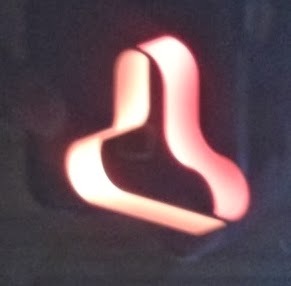 මේවා Original දුරකතන නෙවෙයි බාල Copy (Replica). මේවා හඳුනාගන්න විදියYOUTUBE එකේ Video වල තියෙනවා ඕන තරම්. Searchකරලා බලන්න. ඒ ads වල Korean version කියලා තිබුනට එකේ Model No. එක දිලා තියෙන්නේ international version එකේ model no. eka එක. උදාහරණයක් විදියට S4 එක ගනිමු. Korean version එකේ Model No. එක SHV-E300S/K/L මිසක් GT-i9500 නෙවෙයි. වැදගත්ම කාරණාව තමයි Second hand Galaxy S එකකුත් 13,000 -15,000 වෙනවා නම්, Second hand Galaxy S2 එකකුත් 22,000 -24,000 වෙනවා නම් එම මිලටම Original Brand-New S4, Note3 දෙන්න පුලුවන්ද කියන එක??? මම නම් හිතන්නේ 15,000- 20,000 වියදම් කරලා බාල copy එකක් ගන්නවට වඩා අතේ තියෙන මුදලට එකක් original phone ගන්න එක හොඳයි කියලා. ඔන්න ඕක තමයි කතන්දරේ....... මම හිතනවා මේ ලිපිය අපේ අයට ගොඩක් ප්‍රයෝජනවත් වෙයි කියලා. වැරැද්දක්, අඩුපාඩුවක් තියෙනවානම් comment කරලා නිවැරදි කරන්න.